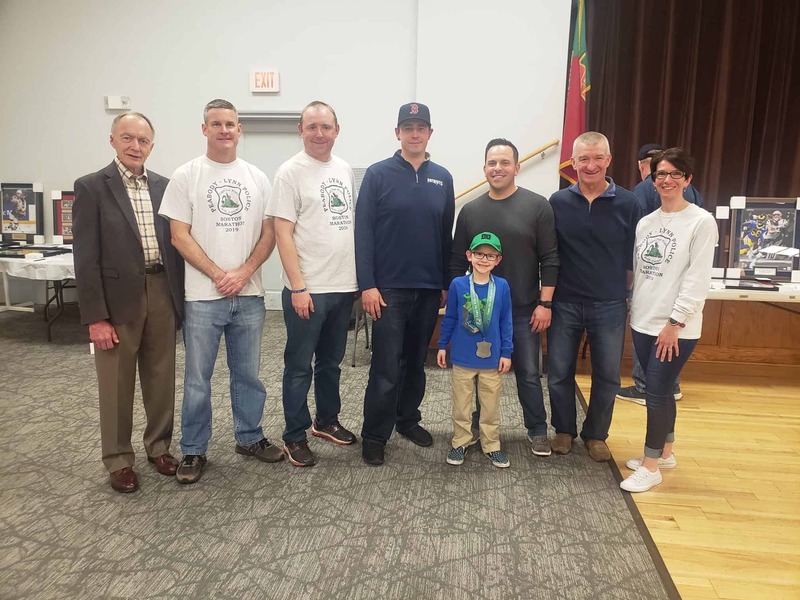 On 3-29-2019, Cfkwc went to Peabody, Mass for a fundraiser by the Peabody Police Dept., They hosted a chicken wing eating fundraiser, to raise money for the Peabody PD Marathon runners who are members of the 2019 CFKWC Marathon Team. A donation was made to 6 yr. old Cian Byrne and his dad Seamus. A special shout out ! to Sgt. Jim Harkins, and all the members of this years Marathon team.